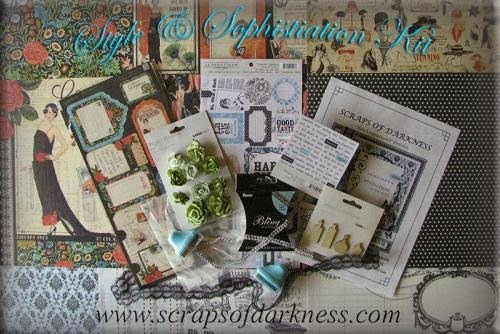 Hi Sweet Friends, Today I'm revealing my first project using Scraps Of Darkness's January Kit "Style and Sophisticaiton". This kit has G45's "Couture" paperline along with Authentique's "Elegant" paper collection. For this project I altered an old cigar box of my husband's that was his Father's..it's so old and fun to alter!! 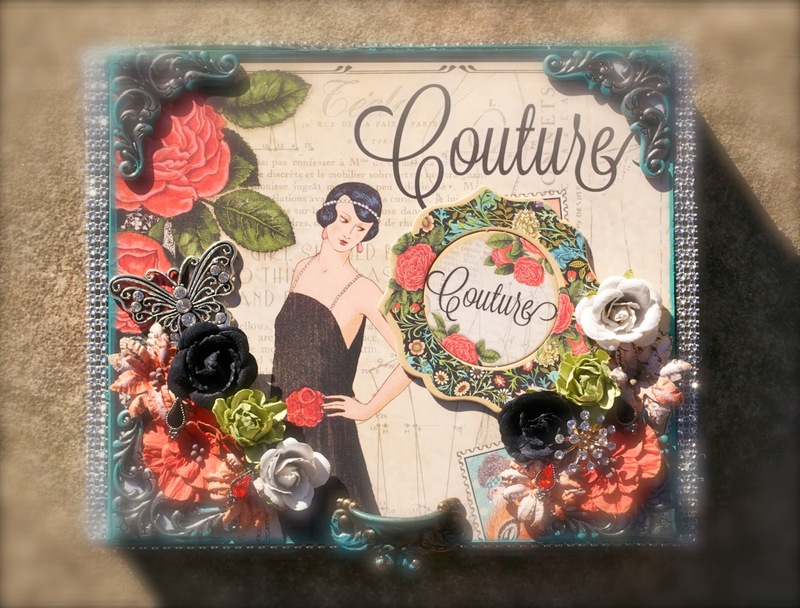 I used the gorgeous new "Couture" paper collection from Graphic 45 that is included in the kit. I also used Prima's Ingvild Bolme Chalk Fluid Edgers - "Rusty Bucket" and "Teal Damask". Along with some beautiful flowers from Prima's "Le Mia", Petaloo's Darjeeling Collection "Wild Blossoms" Paprika, and Kaisercraft's "Paper Blooms" Olive Mini blooms. And here's the inside, sorry the lighting and shadows are bad this time of year, but the bling really glitters!! This is stunning! I have several cigar boxes to alter, but I keep hoarding them back. I should at least do one! Gorgeous work Karen! I had to pop over so that I could see it from the inside out, and I am so glad I did~such a visual delight!